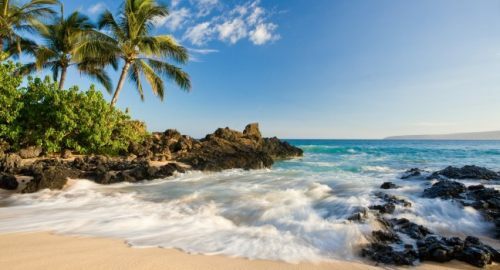 WestJet is showing some great prices from Vancouver to Maui, Hawaii (OGG) for the peak winter travel months. Look for the flights that are $209 CAD on the way there, and $153 CAD on the way back. If the dates you tried do not show this price, you can click on 'Previous Page' (bottom left) to try other dates. Very high demand dates around Christmas are unlikely to be this price. vancouver, yvr, flight deals, hawaii, air canada, united states, maui, ogg and north america. 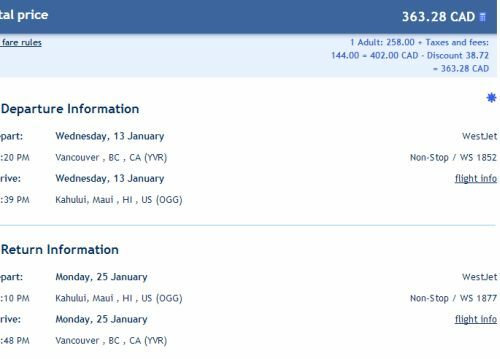 2 Responses to "Vancouver to Maui, Hawaii - $363 CAD roundtrip including taxes | non-stop flights, winter travel"
Air Canada just announced some crazy deals to Delhi INDIA from Vancouver - The sale seats are for travel from Feb. 15 but I still got great prices departing in January - flying through Heathrow ($560 YVR-Heathrow-Delhi!!) returning same way for around $600!